A family, like a quilt, can be pieced together in many ways. And a quilt, like a family, is rich with stories. Lacey's great-grandmother has a trunkful of family quilts, and stories, she loves to share with Lacey. And the stories the old quilts tell help Lacey understand not only the generations that have come before her, but her own family as well. Take Daniel, Lacey's great-great-grandfather, growing up on his grandparents' Illinois farm in 1890. 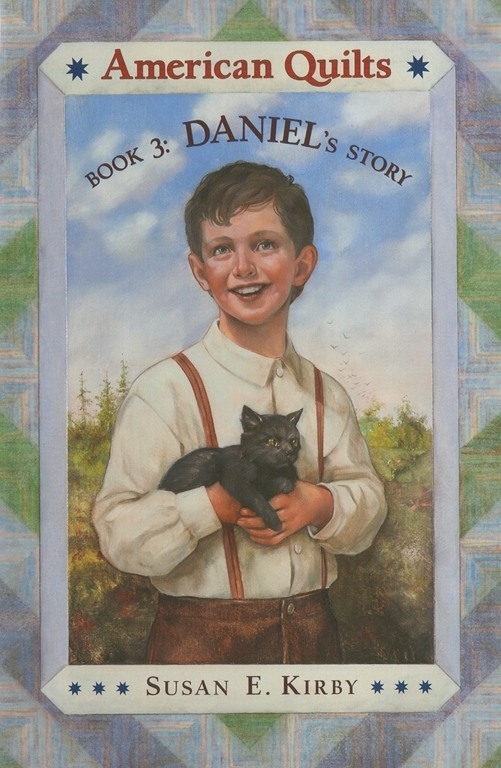 Daniel is happy on the farm, but he is determined to find a way to get out west to visit his father so they can be a whole family again. He hatches an ingenious if risky scheme to make the trip, but when he arrives at the depot in Valentine, Nebraska, he finds the little town abuzz with fears of a Sioux uprising. And an even bigger surprise awaits him at his father's cabin, forcing Daniel to rethink his idea of what makes a family whole. Dan Andreasen is the illustrator of numerous picture books, including By the Dawn’s Early Light: The Story of the Star-Spangled Banner by Steven Kroll, which was named an ABA Kids’ Pick of the Lists and a Notable Children’s Trade Book in the Field of Social Studies; A Quiet Place by Douglas Wood; and Sailor Boy Jig by Margaret Wise Brown. He has also authored several picture books, including With a Little Help from Daddy and A Special Day for Mommy. Dan lives with his family in Medina, Ohio.